Smallmouth Bass are not a dominant species in Lac Seul because they are not natural to the arctic watershed. They are considered an invasive species by biologists. Smallmouth Bass did make it into the arctic watershed back in the 70s and have been steadily increasing in numbers. Lac Seul offers perfect conditions for Smallmouth Bass. There are lots of rocks with tons of minnows and crayfish for them to eat. There are also many places for them to spawn but the fact is Lac Seul is stuffed with countless millions of Walleyes and Pike and the Smallmouth Bass are having a hard time competing. 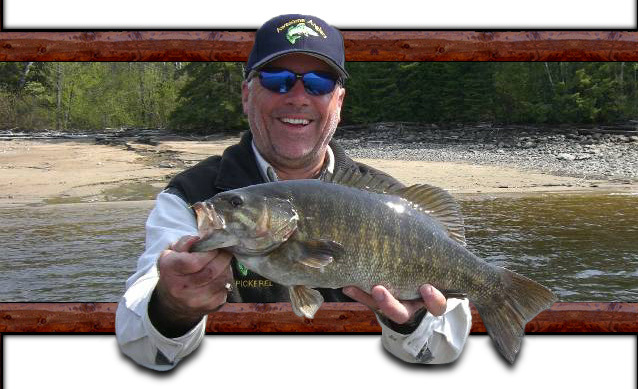 Smallmouth Bass numbers have been slowly increasing over the last 40 years and Lac Seul offers some Monster Trophy Smallmouth but their numbers are not like other Ontario lakes. You can find areas like rocky shoals and rocky points where you can pull in some nice size bass. 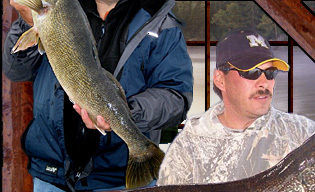 Many of our guests catch nice bass while Walleye and Pike fishing. To spend a whole day targeting Smallmouth Bass is not really taking advantage of this magnificent lake. 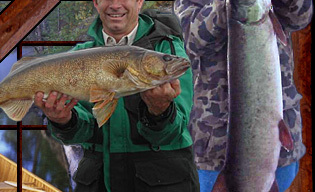 We suggest that you fish for Walleye in the morning and then in the afternoon, if you are in a rocky area that looks good for bass, try putting on a Smallmouth lure and see if you can pull a couple bass out of the area. 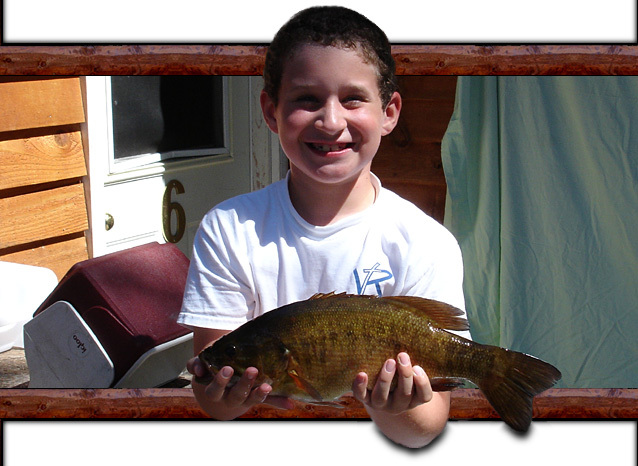 It's rare to catch a Smallmouth Bass smaller then a pound because they get eaten by Muskie and Pike. 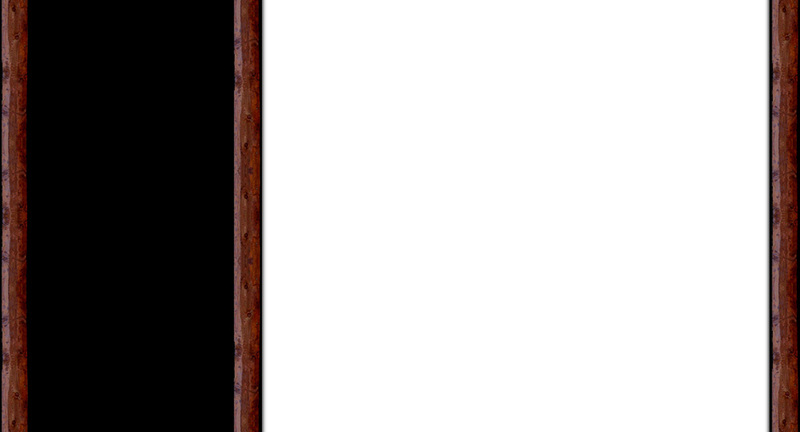 Once a lucky bass reaches a certain size they seem to be free to grow large. 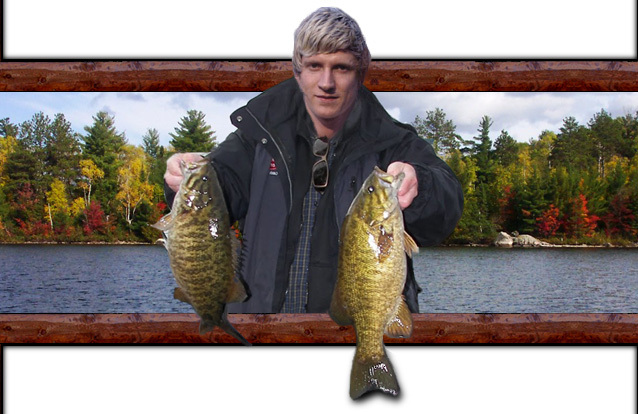 There are some large trophy Smallmouth Bass in Lac Seul. Many guests have caught bass in the 3 and 5-pound range and occasionally a larger one gets caught. It's really hard to predict how many Smallmouth Bass you can catch in a day if you specifically target them because very few of our guests do that. Again, most of our guests come to Lac Seul for the awesome Walleye and Pike fishing.